We are committed providing the most up-to-date, independent expert advice to all of our clients and this approach starts from the moment we meet you. So, what can you expect if you get in touch? Firstly, there will be no ‘hard sell’, no immediate costs and no pressure. 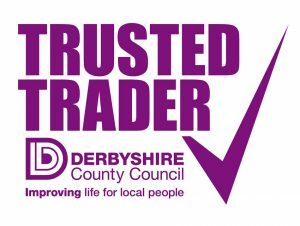 We grow our business by providing regular ongoing, long term, comprehensive financial advice and excellent customer service that our customers are proud to recommend. Secondly, we follow a consistent five step process that ensures our high standards are maintained. We offer an initial meeting at our cost, so that we can get to know each other. You will get an idea of the type of services we offer, how we work and the costs associated with the Financial Planning you require and we will take time to understand you and the objectives you have for your financial future. What’s important for you to know is that this meeting is at no cost to you and with no obligation. Once you’ve engaged our services, we’ll find a convenient time for you to talk to us about your current circumstances and future plans and any existing arrangements, investments or financial products you hold. We will have an in-depth discussion with you about your financial priorities, your objectives, your approach to investment risk and any areas of need you have perhaps previously not considered. We talk you through the range of planning options open to you and how you could achieve the financial position you desire. Once you’ve received our proposed financial plan, it’s likely to raise questions, and the best way to answer these is in person, so we will invite you to meet us again to discuss any queries you may have. You will be able to ask as many questions as you want and have as much time to consider the proposals as you need, before implementation. We take all of the information we have gathered and take time and care to develop our recommendations for you so that you are able to secure your financial future. This would include undertaking any necessary product research, from the whole of the marketplace. As we are completely independent and we hold the highest qualifications possible of any financial advisors in the industry, you can be absolutely confident that the recommendations we make will be the ones that are in your best interests. We will provide all of our advice and proposed actions in a written report. We know that trusting someone with your financial future is a big decision so take your time, ask for references or to see proof of our qualifications. Do what you need to do to feel comfortable and take your time in doing it. Once you have decided to trust us, it’s our turn to prove to you that you have made the right decision. We are looking forward to developing our long term relationship with you, by meeting regularly to review your financial plan and proving that we will make your financial future both secure and profitable. 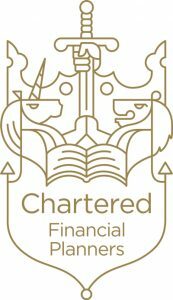 Midland Financial Solutions Ltd is authorised and regulated by The Financial Conduct Authority. Midland Financial Solutions Ltd is entered on the FCA register (www.fca.gov.uk) under reference 493195. Registered address: Midland Financial Solutions Ltd, 50 Osmaston Road, Derby DE1 2HU. Unless we notify you in writing to the contrary, we will be treating you as a “Retail Client”. This means that you are afforded the highest level of protection under the regulatory system and should have the right to take any complaint to the Financial Ombudsman Service (FOS) (www.financial-ombudsman.org.uk).